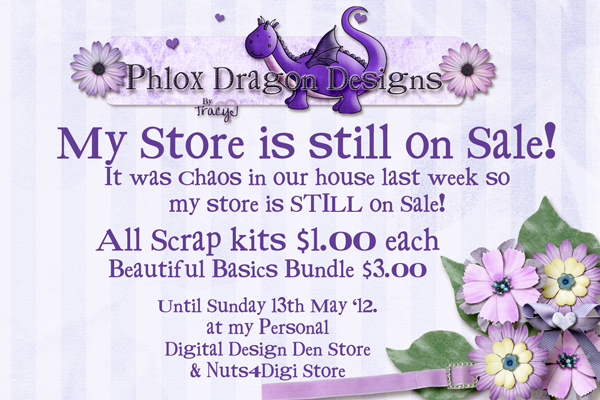 Phlox Dragon Designs: Chaos Rules! Yep! Chaos rules in house at present! I never got around to taking my stores off the INSD sale from last weekend so this means YIPPEE! it's still on sale - I figure I'll get some peace & quiet this monday to do it! Digi Scrap Connect June Blog Train!